This month 9 liter spirit case sales grew at 5.1% in control states, boosted by a modest comp and sluggish October. 9 liter wine case sales growth rate was 3.9%. Alabama, Iowa, Idaho, Montgomery County Maryland, Maine, Mississippi, Montana, North Carolina, New Hampshire, Ohio, Oregon, Virginia, Vermont, West Virginia, and Wyoming all reported monthly 9 liter case growth exceeding their 12 month trends. Spirit volume is up in control states from 2.6% a year ago to 2.8% year-to-date. The fastest growing category in control state spirits markets was Irish Whiskey with 17.2% reported and a 12 month trend of 14.6%. Vodka has the largest share of the control state spirits market at 35% share and grew during the same periods at 4.7%. Brandy/Cognac, Canadian Whiskey, Cocktails, Cordials, Domestic Whiskey, Irish Whiskey, Rum, Scotch, Tequila, and Vodka all grew at rates exceeding their twelve month trends. 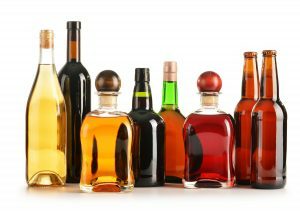 The biggest winners in November growth rates were Tequila and Brandy/Cognac, up 13.2% and 10.6% respectively.